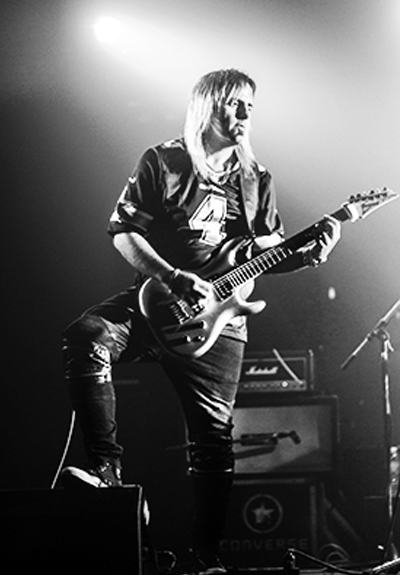 The Musician and Producer Luiyi Black Side, recognized guitarist of Latin America, founder of the Heavy Metal band Black Side, with which he edited 6 albums among them with musicians from the most important rock band in Latin America "Rata Blanca". His albums are presented in many countries of America such as Chile, Argentina, Uruguay, Paraguay, Mexico and the United States. He also edited 2 DVDs among one of them at the famous "Hard Rock Cafe" in Buenos Aires. Luiyi accompanied "Joe Lynn Turner" on his last tour in Bolivia and I play with musicians from the famous rock band "Counts 77" known for the TV show "Counting Cars" in the City of Las Vegas.